Get Better Online Alerts With Mention | Brand On! 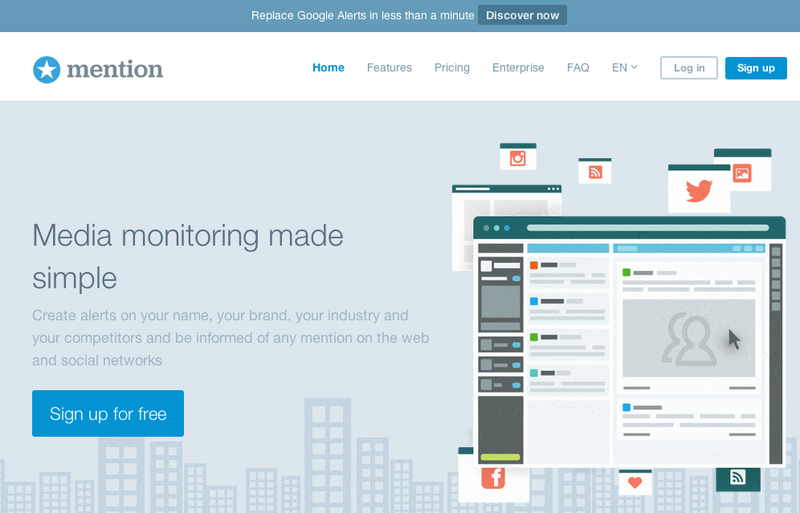 Want something better than Google Alerts for keeping track of online mentions? Mention will fit the bill. Use it to get alerted about anything you’re interested in that gets published on social networks, news sites, forums, blogs or any web page. Use it just for your company, or compare yourself to your competitors. Mention can alert you in real-time via push notifications. You will also receive a daily or weekly email digest. Mention also goes a step beyond Google Alerts by giving your a snapshot of your mentions by source, language and over a selected period of time. You can create PDF reports and export the data in CSV.